Dr. Bohrer is native to Austin, Texas and moved to Southern California in 2004. Dr. Bohrer is a graduate of Ross University, School of Veterinary Medicine and completed her clinical year of training at the University of Missouri, Columbia. Dr. Bohrer completed a one year rotating internship at Advanced Veterinary Critical Care and Internal Medicine, a specialty facility in Lawndale, California. During her stay she obtained a strong background in cardiology and internal medicine while attending to emergency cases. 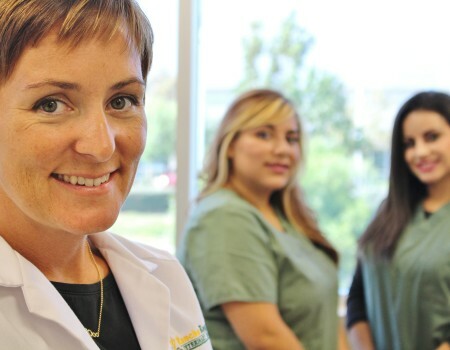 Upon completion of her internship, Dr. Bohrer went on to practice at the Inland Valley Humane Society for one year. After her stay at the I.V.H.S. 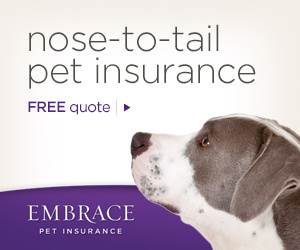 Dr. Bohrer moved on to function as a relief veterinarian in several hospitals local to the Inland Empire. Dr. Bohrer was intimately involved in the development of the veterinary department in the Rancho Cucamonga Animal Care and Adoption Center and served as a consultant to the center for just over 16 months. Dr. Bohrer practices both Western & Eastern Medicine and has a strong interest in internal medicine and alternative therapy. Dr. Bohrer is a Certified Veterinary Acupuncturist through I.V.A.S. and has been a team member at Rancho Regional Veterinary Hospital Since the fall of 2009. Dr Bohrer is an avid runner (averaging about 40 miles per week) and has completed several marathons since starting running in 1998. She enjoys cooking, gardening, reading novels and of course spending quality time with her loving family.